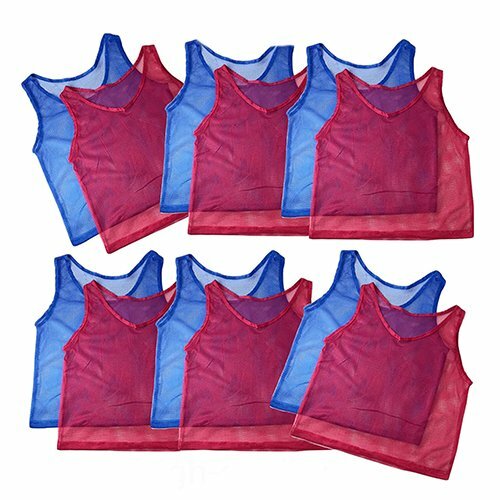 Adorox Youth Team Practice Nylon Mesh Jerseys for Sports 6 Red 6 Blue (12 Youth Jerseys) – Cruz Our Garage, Inc. 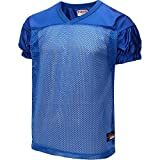 Whether it is for a youth sport league or just a simple competition, these youth mesh practice jerseys will make it easy to distinguish both sides competing. 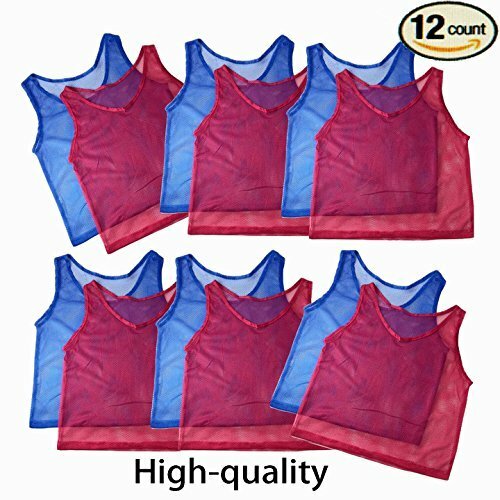 One pack of 12 jerseys comes with 6 red jerseys and 6 blue jerseys. Suitable for kids up to age 12 approximately. Measurements: 38″ waist – 36″ chest – 22″ length – 26″ shoulder width with 1.75″ wide straps – 19″ diameter arm hole. 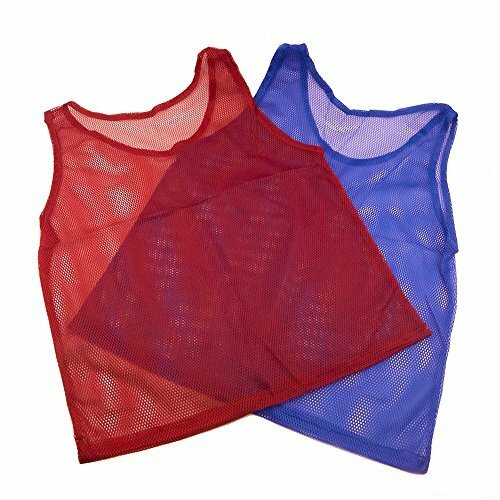 Nylon mesh scrimmage vests are also called pinnies. 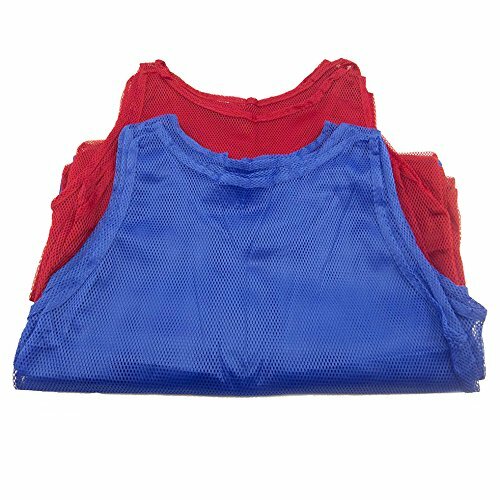 They come in handy when there aren’t enough jerseys or practice uniforms to go around for two teams.